Here we are… again. After the smash success of Taken, a sequel was hatched with less fanfare and apparently needing a few more bucks, Fox and EuraCorp decided to go to the well one last time with Luc Besson and co-screenwriter Robert Mark Kasen utilize their action template and plug-and-play stilted dialogue and generic action sequences to mask an inane plot. 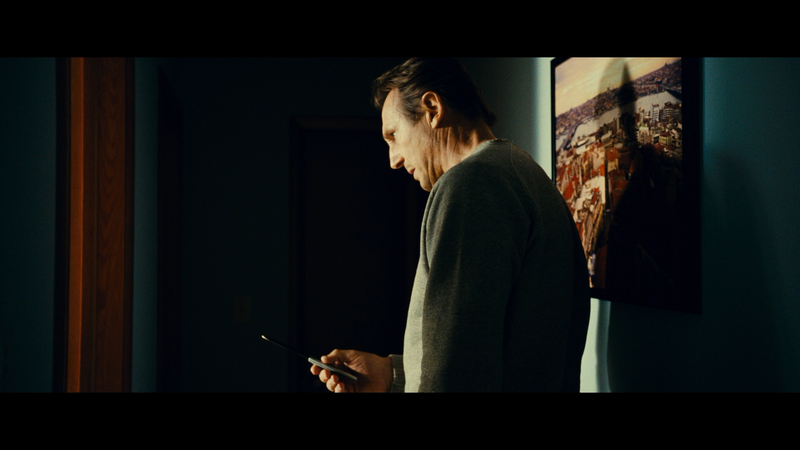 Taken 3 — or I should say Tak3n — finds Bryan Mills (LIAM NEESON) still apparently hung up on treating his daughter, Kim (MAGGIE GRACE), as a child getting her a giant stuffed panda for her birthday, though to be less predictable, he brings her the present a few days beforehand. For her part, Kim lets him know it’s not her thing and he gladly takes it back to exchange it later for something else. However, Kim is a bit distracted as she has found out she is pregnant, the father is Jimy (JONNY WESTON) whom we met in the last outing. And of course Bryan’s ex-wife, Leonor (FAMKE JANSSEN), has marital troubles with fantasies of getting back together with Bryan, though her husband, Stuart (DOUGRAY SCOTT taking over from Xander Berkley who played the part in the first film), still wants to work on the marriage and being the honorable fellow he is, and despite Leonor more or less throwing herself at him, Bryan rejects her advances while she and Stuart work on their own issues, something he makes clear when he visits Bryan at his apartment. 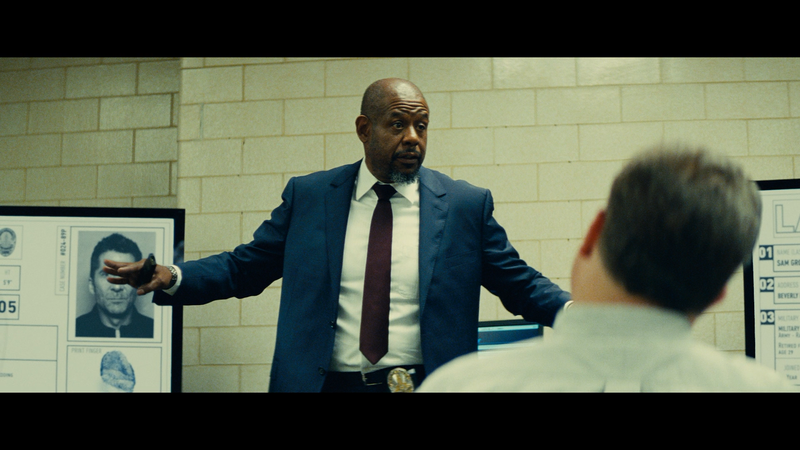 Now Mills goes into Fugitive mode with hotshot detective Franck Dotzier (FOREST WHITAKER) and his crackpot crew are on the trail while Mills attempts to clear his name, tracking down clues and utilizing his unique set of skills which, this go around, apparently include putting a car into reverse and taking it down an elevator shaft in order to escape his pursuers. The one bright spot for this film, though, is the re-introduction of Mills’ former special ops pals: Sam (LELAND ORSER), Bernie (DAVID WARSHOFSKY) and Casey (JON GRIES). Thankfully these three are more involved in the plot this go-around, though I’d have preferred some sort of prequel over this mess of a film. Taken 3 is the epitome of needless sequels and as much fun as it is to see Liam Neeson become the modern day Charles Bronson between this and the plethora of other action films he’s done, unfortunately the thrill (and fun) factor of the original just isn’t there in the last two outings. 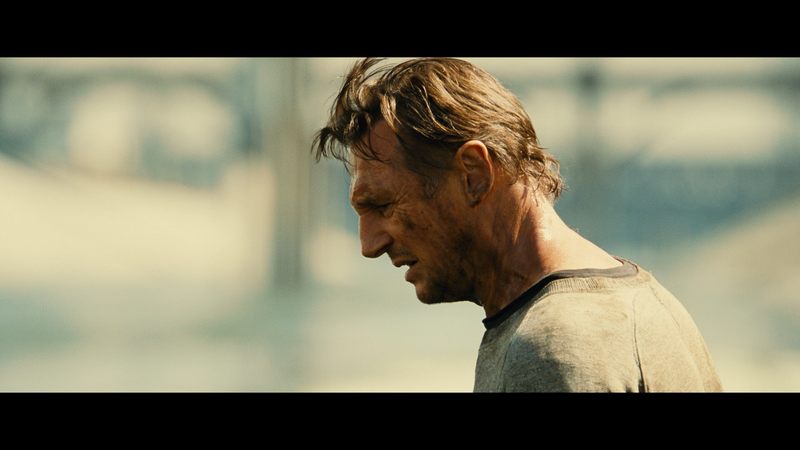 As poorly made as Taken 2 was, and it had some dumb moments, they pale in comparison with some truly inane scenes under Olivier Megaton’s direction, action scenes so generic it was utterly boring to sit through. The supporting cast also was a bit underwhelming. 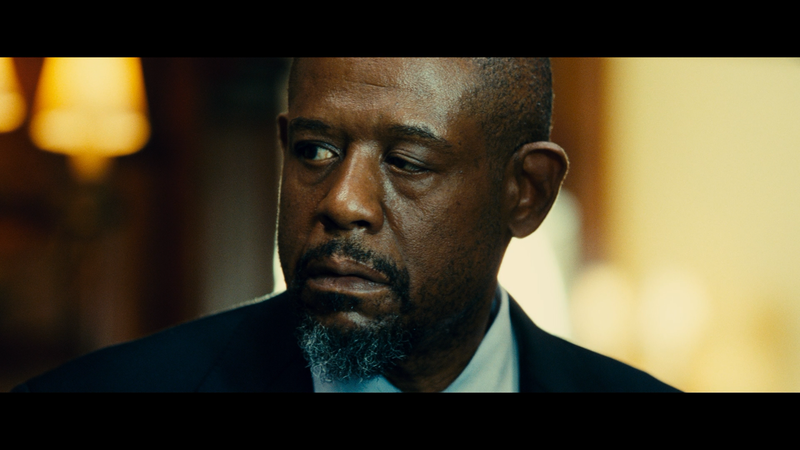 Forest Whitaker is a fine actor and he’s not given a whole heck of a lot to work with, but the fact he was able to keep a straight face concerning the whole bagel angle is impressive. 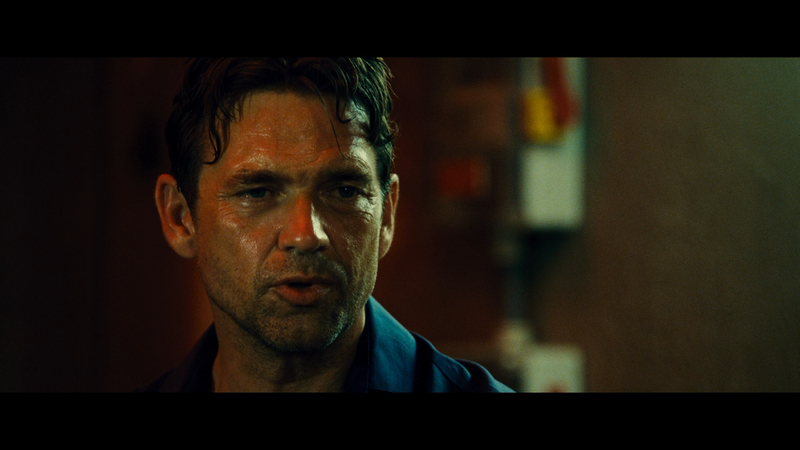 Dougray Scott, along with Sam Spruell and Andrew Howard, made for weak villains and honestly, didn’t even realize Scott was supposed to be playing the same character from the first Taken (portrayed by Xander Berkeley) and the plot itself is based off of a throwaway line (concerning a bad oil deal and the Russians). If not for Liam Neeson, Taken 3 would be a completely forgettable film and even with him, it’s yet another in a long line of Luc Besson templates that blend together with nothing to distinguish one from the next. 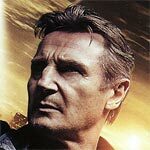 I can’t say I hated this film and while it never comes close to its potential being The Fugitive with Liam Neeson, it passed the time well enough though like its predecessor, chances of me every revisiting is very low and instead I’ll re-watch the original which is still one of the best action-thrillers made in the past 10+ years. As with previous releases, this one comes with a basic semi-glossy slip cover and a sticker which was tough to get off. Inside is a redemption code for the UltraViolet HD digital copy. Unrated Version – We get both the theatrical and unrated cuts and watching this one first, it is about 7-minutes longer and probably is a bit more violent with one scene adding a couple extra f-bombs which would give this a soft R-rating. Sam’s Bunker a.k.a. The Rabbit Hole (3:01; HD) is a feature where we check out the facility with various technological tools and weapons. 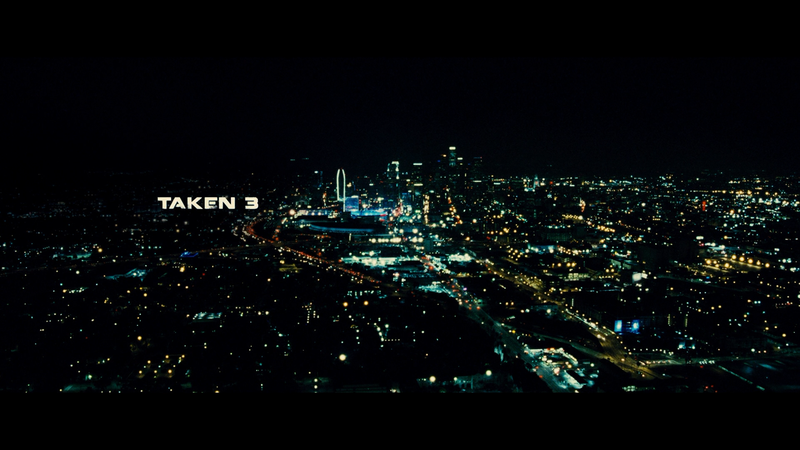 Taken to L.A. (4:16; HD) – This featurette looks at filming in and around Los Angeles. Gallery – Here we get a few on-location and set pictures. 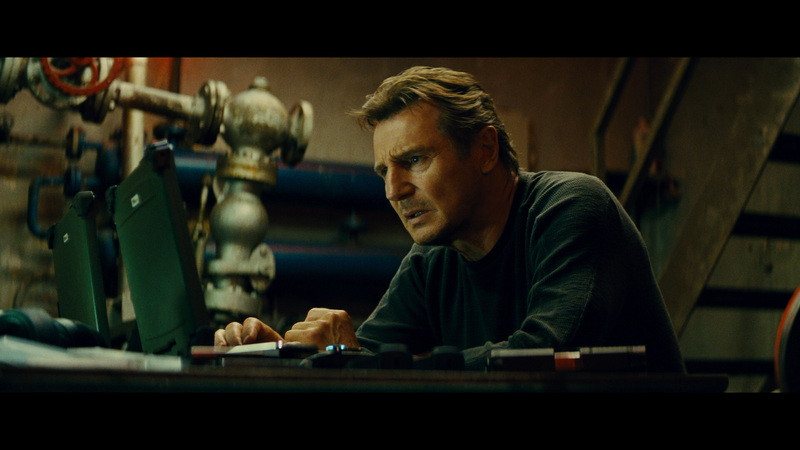 Taken 3 kicks it into neutral gear onto Blu-ray presented with a 2.39 widescreen aspect ratio and a 1080p high-definition transfer. The picture more or less matches the previous two films looking oversaturated in spots where even skin tones are incredibly warm. Yet, detail levels look sharp and it looks like a clean transfer free of aliasing, artifacts, dust marks and other ailments taking full advantage of the sleek style as photographed by Eric Kress. The movie has been given a satisfactory yet limited 5.1 DTS-HD Master Audio track. For the most part it’s a nice track with excellent depth and crisp and clear dialogue levels throughout. However, once we get to a few of the action scenes it seems to go incredibly flat at times where crashes and gunfire sound more muffled than anything, though I have to think this was due to the job done in post than anything with transfer itself. Still, it’s a fine lossless track though don’t expect anything reference quality. Overall, Taken 3 is a weak sequel and really the epitome of a money grab with a template screenplay by Luc Besson and Robert Mark Kasen and frenetic direction by Olivier Megaton of some truly generic action scenes. It is disappointing that the series has devolved to this level but I suppose if you like Neeson and can set aside some of the absurd plot points, Taken 3 might make for throwaway entertainment. The Blu-ray released by Fox is pretty basic with a few thin making-of featurettes, a single deleted scene and an unrated cut which doesn’t add that much save for some extra f-bombs and violence.